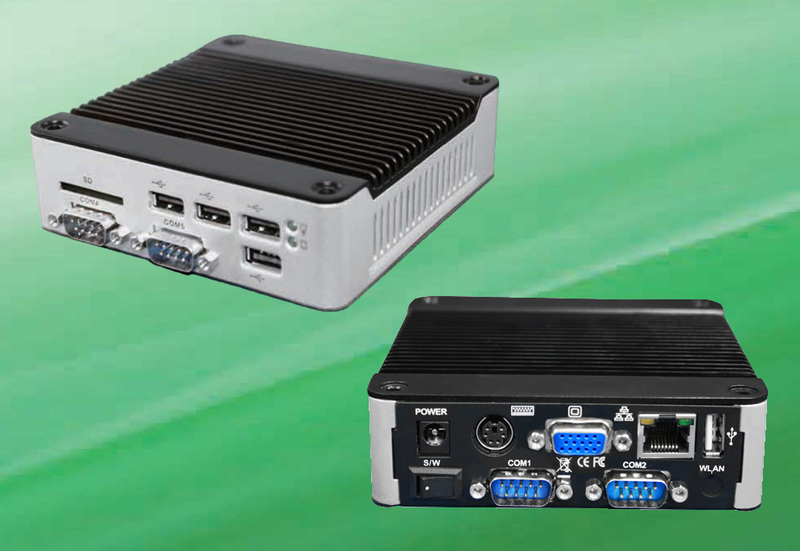 This eBox 3310MX-S4C model includes SD card support, 4x Full RS232 ports (DB9) and 6x USB ports. The eBox 3310MX is a complete PC with an i586 architecture. At its core you will find the Vortex86MX+ SoC featuring 32bit Memory bus, 1GB DDR2 RAM. The 3310MX-S4C includes 6x USB 2.0 ports, 4x Full RS232 ports (DB9), 1x Ethernet port, 1x VGA port and 3x RS232 ports. HDD is provided through an SD card slot only (this model does not support SATA HDDs; the model supporting SATA HDD is the 3310MX-D4C). All 4 ports expose the full DB9 pins. The 3310MX-S4C and 3310MX-D4C target vertical markets where multiple COMM ports are required. The improvements made to the Vortex86MX+ - in particular the 32 bit memory bus -, 1GB DDR2 RAM make the 3310MX an appealing proposal for applications where more processing power is required. The COMM ports on these S4C and D4C models are full DB9 COMM ports. All 4 COMM ports expose the full 9 pins on the DB9 connector. This eBox model (S4C) does not support SATA. The unit boots from SD card. Simply insert an appropriate SD card (recommend Class 6 or above up to 32Gb) and it will be "seen" by the Operating System as unit's HDD. For a model with 4 COMM ports and SATA support, check the 3310MX-D4C.